AMMAN – The Kingdom on Saturday witnessed the largest ever clean-up campaign targeting dozens of public and tourist sites across the country. Under the "cry of a homeland", thousands of people descended on streets, sport centres, parks, forests, schools and universities to take part in the cleaning campaign. "I insisted that my children — aged 6, 10 and 12 — come here today and take part in the cleaning-up activities to understand how difficult and daunting it is for cleaners to pick-up the trash that accumulates due to carelessness," Nabil Jabasini told The Jordan Times on Saturday. As he joined his kids and tens of others to clean-up the Sports City in Amman, he stressed the importance of the campaign in "opening people's eyes to the harms of littering". "I think that the people who took part in today's event will think twice before throwing litter in the streets," Jabasini said. 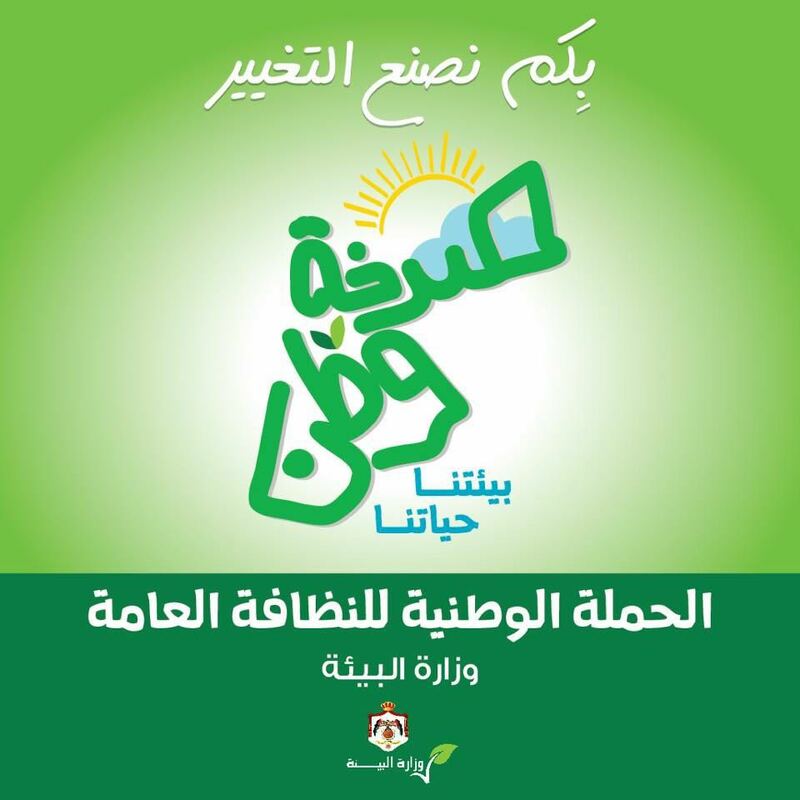 Organised by the Ministry of Environment, the national-clean up day is mobilising ministries, civil society institutions, sports clubs, cooperatives and environmental NGOs in every part of the Kingdom. In earlier remarks to The Jordan Times, Minister of Environment Yaseen Khayyat, who took part in the campaign in Dibbeen forest, noted that "Saturday’s clean-up campaign is unprecedented; it will be the largest ever. It seeks to end this alien, prevailing state of carelessness towards the cleanliness of the surroundings. It also aims to turn every citizen into a guardian that protects our forests, parks, streets, markets, universities and schools from litter." The Cabinet recently approved the national clean-up campaign. The ministry’s spokesperson Issa Shboul said that a centre has been set up in Dibbeen forest for the press, especially social media journalists, to make sure that the campaign is not only “a one-day event that happens and then everyone forgets about it". “We want it to be a platform from which messages about the protection of our environment will be launched,” Shboul told The Jordan Times in an earlier interview. The ministry launched a similar campaign on a smaller scale, in August last year, when municipalities, civil society organisations and schools cleaned up public areas and raised environmental awareness. Forests are a major attraction for visitors during summer, particularly on weekends, which results in rubbish piling up at the sites and occasional fires being started due to the improper and negligent use of barbeques, according to the Ministry of Agriculture.